Play Injustice: Gods Among Us on mobile this weekend, score 30,000 power credits. Play Injustice: Gods Among Us on mobile this weekend, score 30,000 power credits. 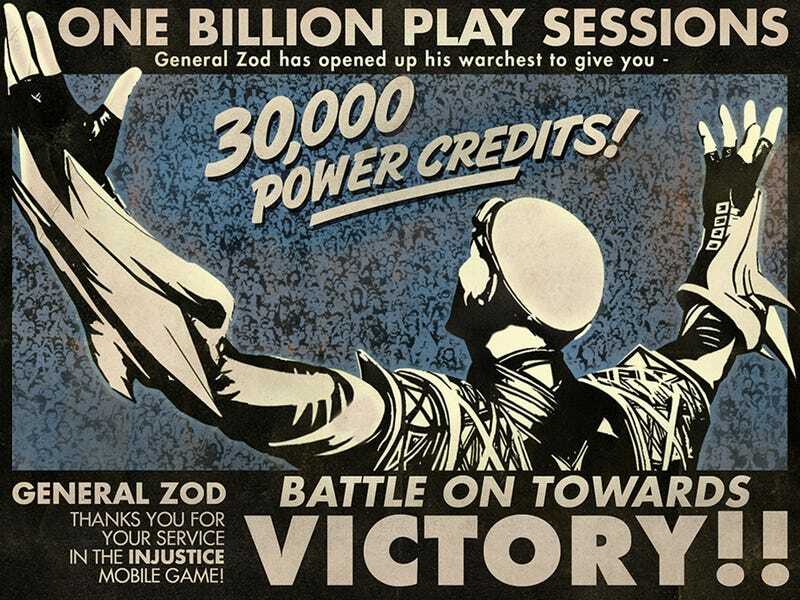 Warner Bros. celebrates one billion play sessions in the free-to-play mobile version of its superhero fighter, doling out in-game currency for anyone who plays the game on iOS or Android devices this weekend.